NVivo is a powerful qualitative data analysis tool, with features that provide functionality far beyond that of the average statistics package. Rather than simple number-crunching, qualitative analysis is about exploring issues and finding the patterns in unstructured data. As a qualitative research software package, NVivo lets you analyse your materials, identify themes and patterns and develop meaningful conclusions, with powerful tools for classifying, sorting and arranging information. How do I install NVivo? 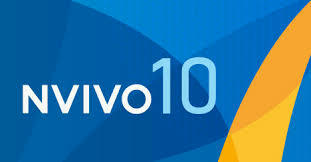 Download the NVivo 11 executable file and click Install. The licence code is included in the setup and you will not need to enter one. Important: As the software is installing, several dialog boxes will appear. Do not click Next or Finish on any of these boxes, the process is automatic and will run automatically. When the Licence Activation dialog box opens, fill in all the required fields. Click Activate and then OK. When the User Profile dialog box appears, fill in your details and click OK.
NVivo is now successfully installed. Full installation instructions are available in the NVivo activation licence file. Use the licence key in the NVivo activation licence file to activate your NVivo installation. Current staff members and registered students at UCT may install as many copies of NVivo as they need for their own use (e.g. on a desktop and laptop). Should you leave UCT's employ or are no registered as a student, you must remove the software.